211 Bernard: Tonight! 7pm: Adam Gollner launches The Book of Immortality!! Tonight! 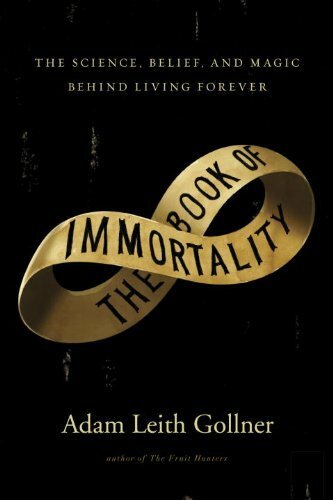 7pm: Adam Gollner launches The Book of Immortality!! What have we not done to live forever? In his new book, Adam Leith Gollner, the critically acclaimed author of The Fruit Hunters, weaves together religion, science, and mythology in a gripping exploration of the most universal of human obsessions: immortality. 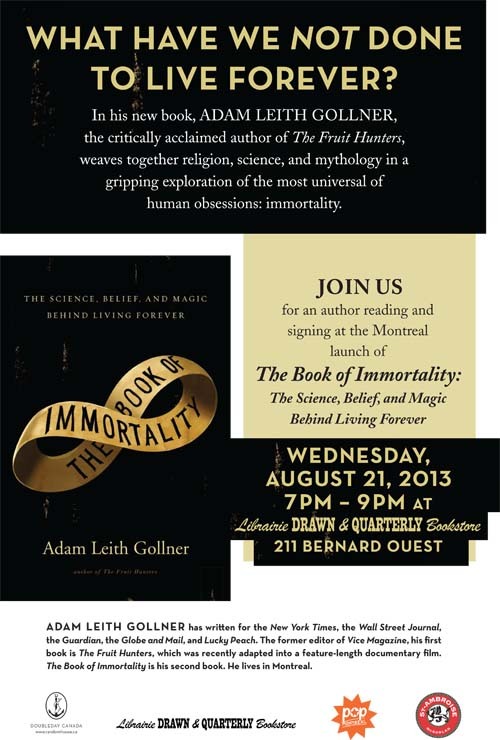 Join us tonight, Wednesday, August 21st at 7 PM for an author reading and signing at the Montreal launch of The Book of Immortality: The Science, Belief, and Magic Behind Living Forever. 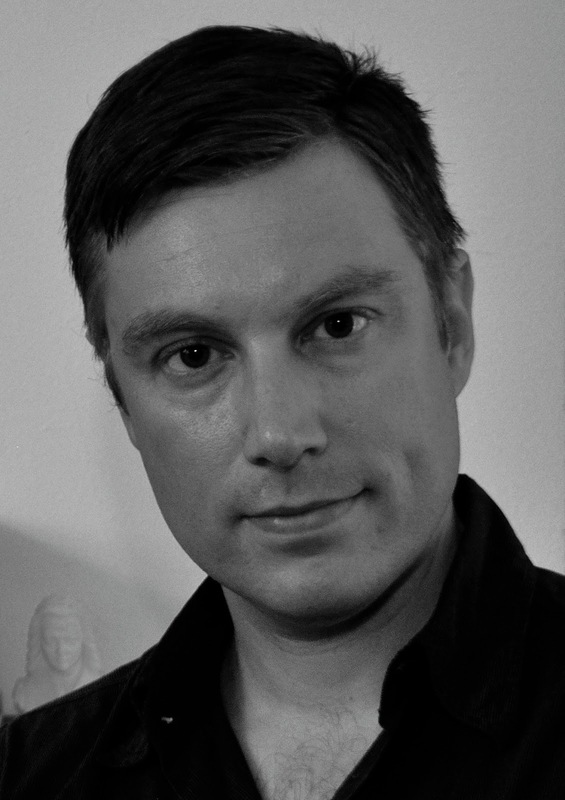 Adam Leith Gollner has written for the New York Times, the Wall Street Journal, the Guardian, the Globe and Mail, and Lucky Peach. The former editor of Vice Magazine, his first book is The Fruit Hunters, which was recently adapted into a feature-length documentary film. The Book of Immortality is his second book. He lives in Montreal. Wednesday, August 21 at 7 pm! 211 Bernard Ouest!